ZTE bet big on the Nubia Z9's camera - it has a 16MP sensor with optical stabilization and the in-house NeoVision 5.1 software, complete with manual controls. The camera uses Sony's IMX234 Exmor RS sensor, same as the LG G4. It sits behind an f/2.0 aperture (compared to G4's f/1.8) and is a 16:9 sensor suitable for modern screens. The selfie camera is an 8MP shooter with fairly large 1.4µm pixels. The phone has a physical shutter key, which is light and easy to use (stiffer keys can cause handshake). The camera is blazing fast too, snap a photo and it's ready for another one. Startup times are equally fast, just press and hold the shutter key and it's ready in under a second (you can set it up to snap a photo immediately too). The camera UI is a tribute to the best interfaces we've seen, simple but capable. You get a permanent Pro button, which enables the manual controls - exposure compensation, shutter speed, white balance, ISO and focus. The default mode still gives you some nice options - HDR, filters, geo-tagging and AF/AE lock (two separate points). Other niceties include a virtual level for perfectly horizontal shots, a compass, burst shot, touch capture, you name it. And that's before we get into the more specialized shooting modes. The Nubia Z9 can do time-lapses and multi-exposures, slow shutter photos and light painting and Star Track (a mode for photographing stars slowly to make the Earth's rotation visible). You can also remove moving objects and duplicate them - these modes are available on the leftmost pane on the homescreen or with a swipe from inside the camera. The electronic aperture is an intriguing mode in which you can simulate closing the aperture further than the native value of f/2.0. The dial goes up to f/44 and goes hand in hand with long exposure capabilities. It demands that you shoot from a tripod, but when you do, it's easy to get long exposures even in daylight. It's kinda like a digital ND filter for those of you who have experience with the real world variant of this lens attachment. Moving on to the image quality, it's quite good. The camera offers excellent sharpness and although processing at pixel level may not look as mature as we would have liked, we're still quite content with the results. Beside the great deal of detail in the shots, the white balance is accurate and the colors are nice, even though they are oversaturated. The dynamic range is also good, the camera doesn't sacrifice neither highlights nor shadows while capturing plenty of both. HDR mode is pretty bad though, we hope ZTE issues an update to fix it. The good dynamic range allows for good shots even in difficult lighting though enabling HDR often makes the sky flat white or grey and spoils the controls thoroughly. It brings up more detail in the shadows, but it's not worth it. The panorama mode proved quite disappointing, creating images with no more than 1,000px vertical resolution and the occasional noticeable stitching error. The ZTE Nubia Z9 is capable of shooting videos up to 2160p resolution with 1080p and HFR options too. At 2160p the framerate is set at 24fps and videos aren't quite as smooth as 30fps videos shot by competing phones. They are recorded at 42Mbps bitrate so that's not the problem (though 96Kbps is a bit low for stereo audio). Snapdragon 810 is capable of 2160p @ 30fps and so is Sony's sensor, so we don't know where the weak link in the chain is but there is one. The camera gives you an option to lock the focus while recording, but even then we noticed some focus hunting in the beginning of videos (this could be the optical stabilization messing up, we shot from a static tripod). There's an option to zoom during video capture too. The level of detail in 2160p videos is quite high and the camera's tendency to smear detail is less visible here. Colors are richer than reality and audio sounds a bit hollow. 1080p videos are shot at a smoother 30fps framerate and 20Mbps bitrate, audio is the same. 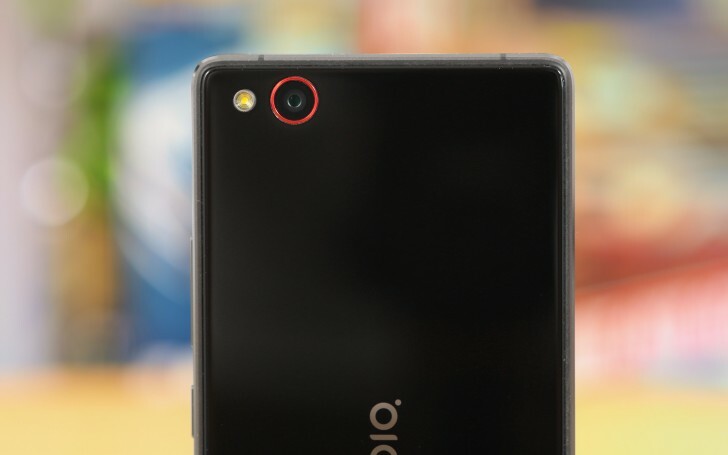 The Nubia Z9 videos come out sharp and detailed at this resolution. The high framerate mode is at only 720x480px resolution, less than the usual 720p for 120fps videos (the iPhones do 240fps at that resolution). The videos are smooth, but the lack of resolution is very noticeable on a modern HDTV. You can download untouched samples of 2160p and 1080p. Here's a 120fps sample too.